This was the week!! 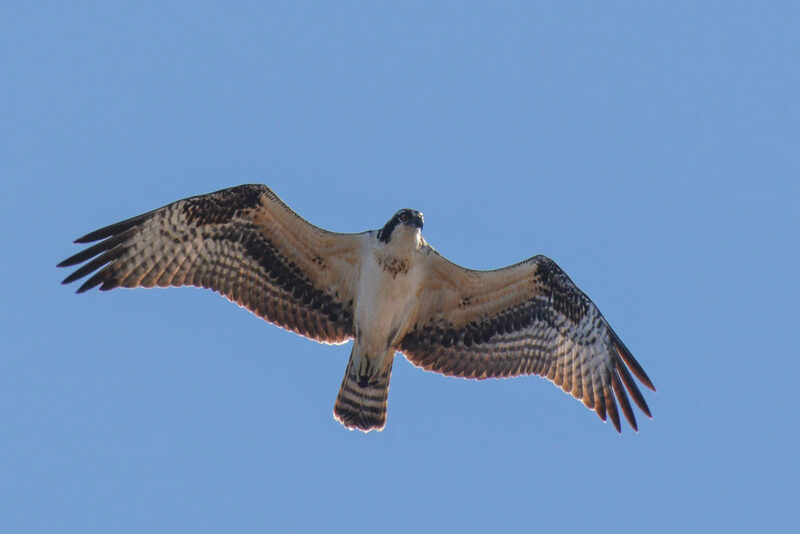 The week that osprey started to return to Portland, that is (at least, the week that I first noticed them, and I’ve been watching pretty carefully). This is basically the highlight of my spring so far. I’d just turned onto the path along the Columbia River Slough yesterday morning, work-bound, when I looked up to a very large flying bird of prey that wasn’t as plank-like as the eagles that have been hanging out there. 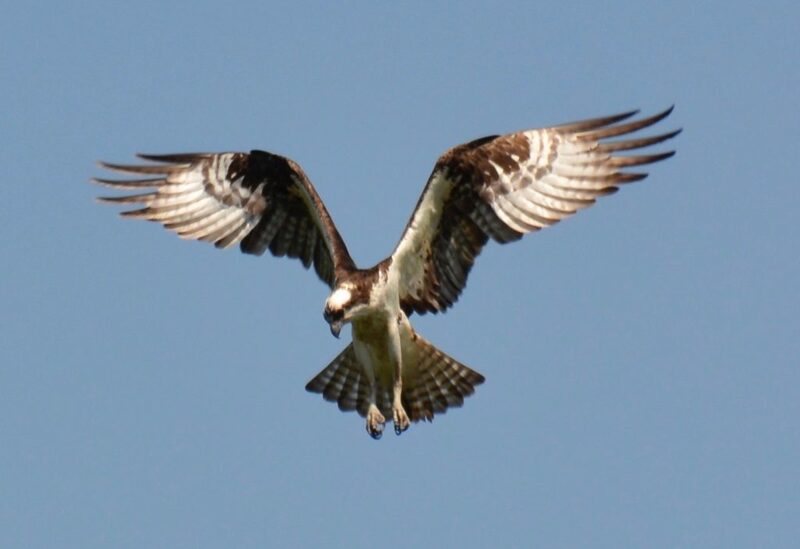 Sure enough: osprey!! He (or she, I couldn’t tell since the biggest difference between the two is size, and that’s hard to judge) — anyway, he or she was swooping all around, diving down between the weirdo industrial storage structures north of the Slough, popping up and around the telephone poles, winging along the river, divebombing the red-tailed hawk I often see there. In short, it looked like he was getting his bearings in the area, establishing his presence, reacquainting himself, figuring everything out again after a few months of being away. I stopped my bike and watched him for kind of a long time, given that I was on my way to work and all. And as always, I felt the near-overwhelming surge of love and happiness and somethingness that the return of the osprey never fails to bring me. It sounds weird maybe, but sitting there watching him actually, for realz, made me cry, both happy and melancholy. Someday, there may not be enough fish to sustain these beautiful, powerful, amazing birds; someday, the waters they rely on may be too poisoned by us to sustain them; someday, they may never come back. I fear this, deeply. But every year so far, here they are, magic incarnate, the return of a magnificent creature — and their return gives me hope and joy and also makes me want to weep with happiness for the world that keeps on going, and for the people who work so hard to try to keep it going. There was another osprey there with him yesterday, sitting on the nest by Portland Meadows. Today, I saw them both again, plus two more flying near the I-5 bridge. Welcome back, osprey. I’ve missed you, and I celebrate your return. So much.